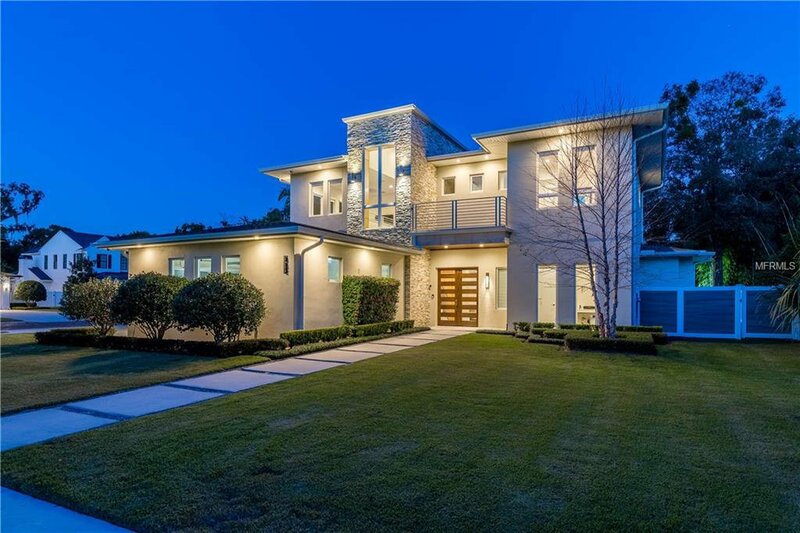 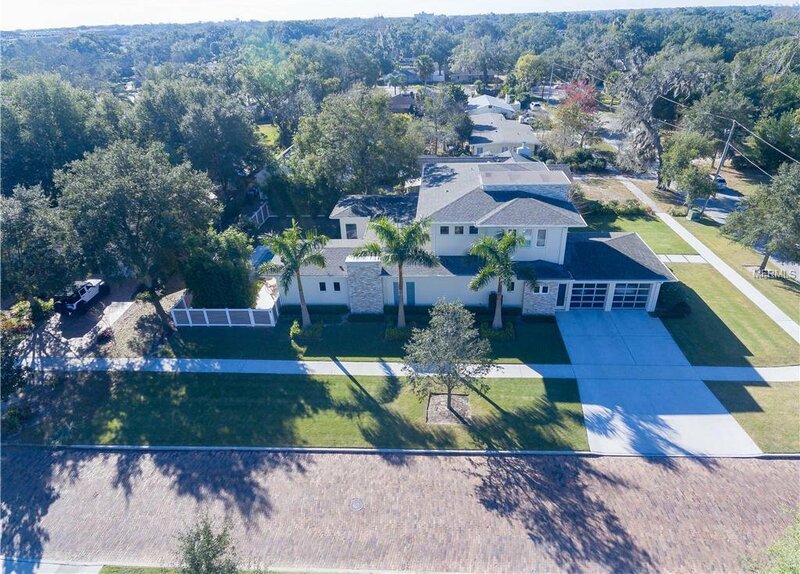 Don’t miss out on this 2017 custom built residence by FG Schaub Homes on a corner lot in one of Winter Park’s most desirable neighborhoods. 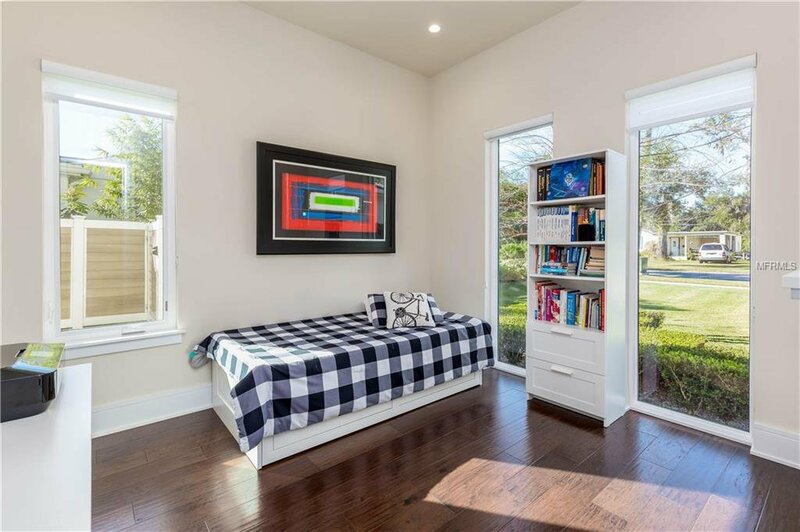 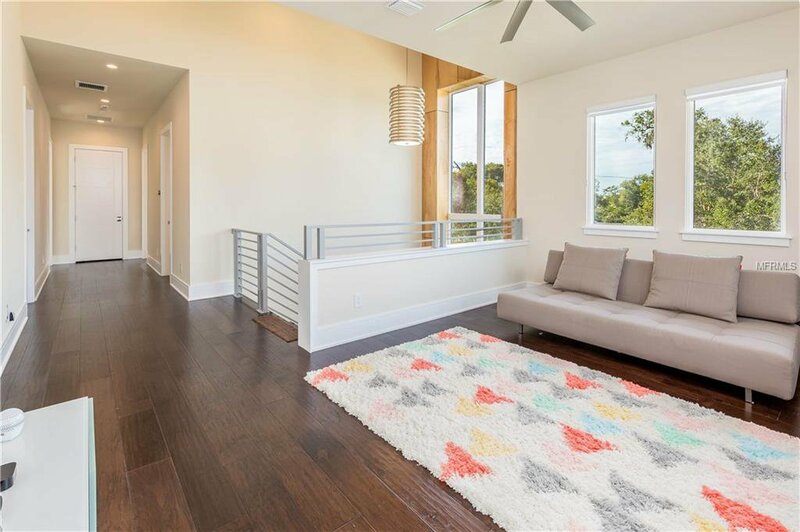 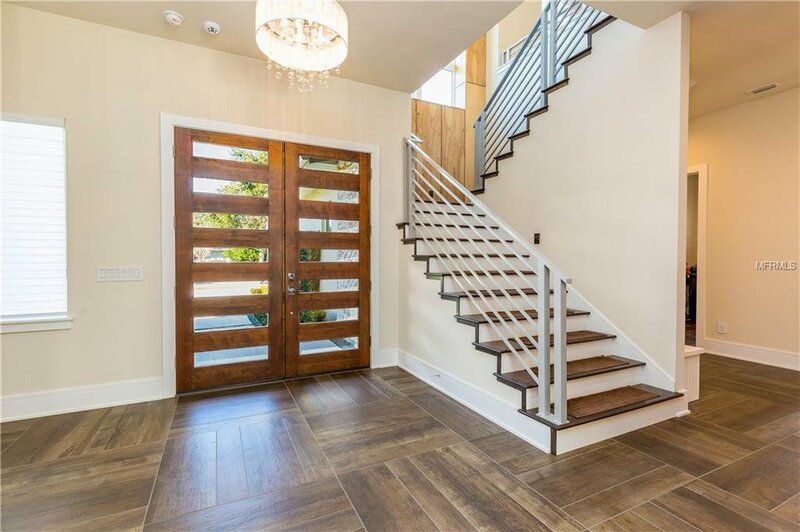 Just a short walk from the YMCA and minutes from Park Avenue, this beautiful home features large front doors leading into a spacious foyer with an open floor plan that floods the living room and open kitchen with tons of natural light. 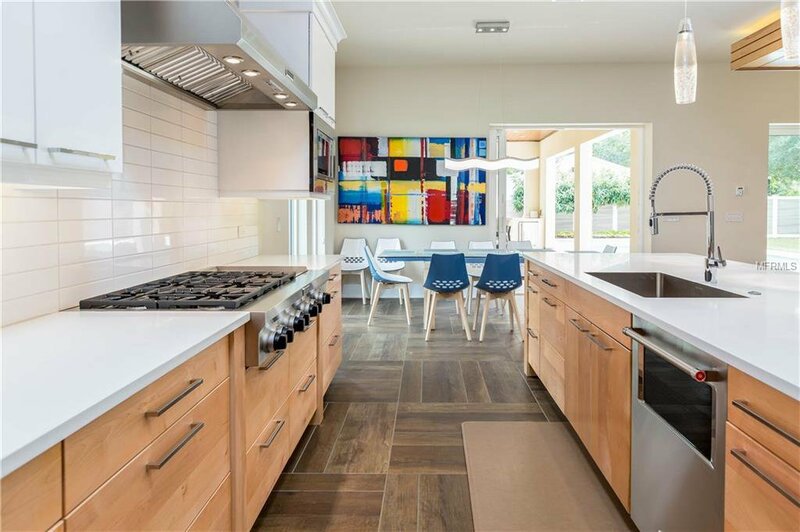 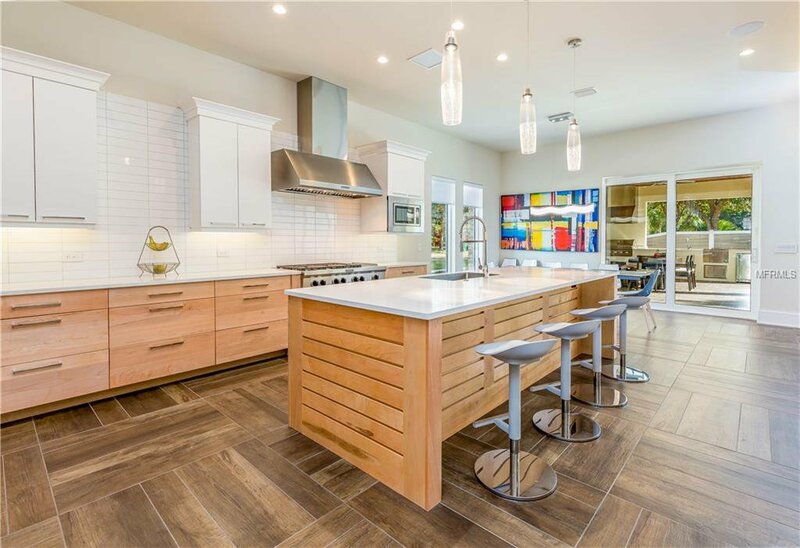 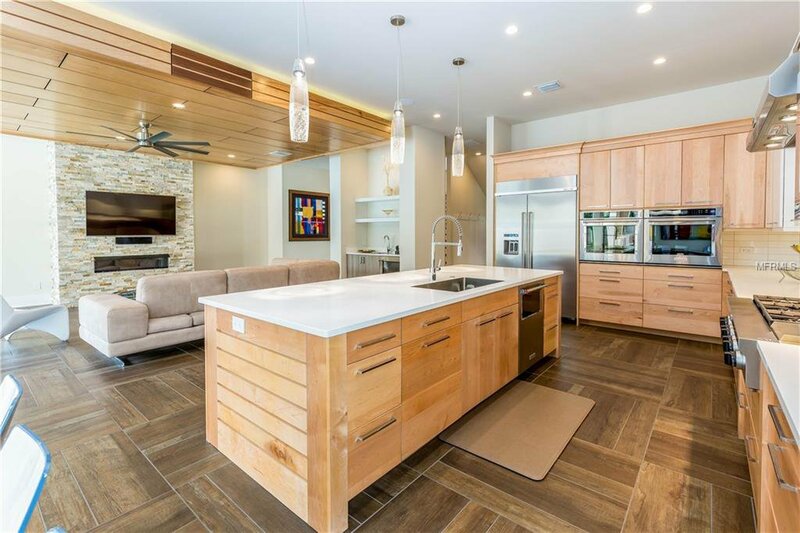 The kitchen features stainless steel appliances, an induction range and plenty of counter space to cook large meals with a huge island for seating and dining, with ample space for a large table. 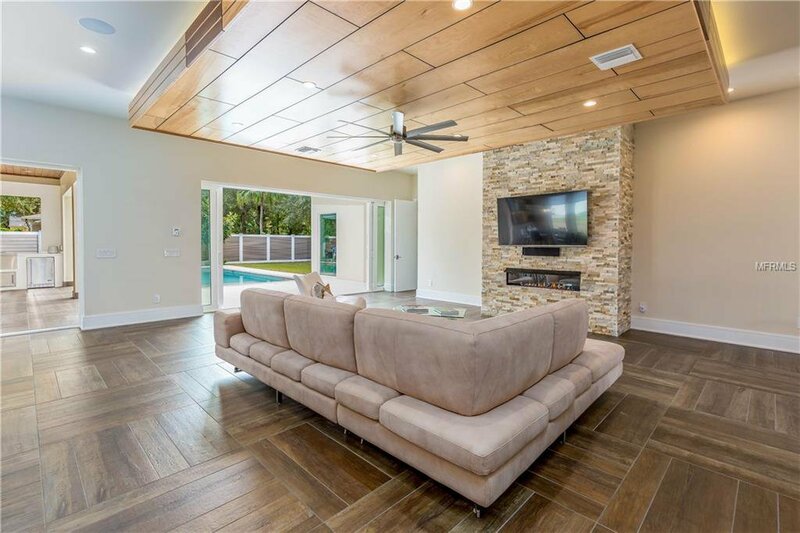 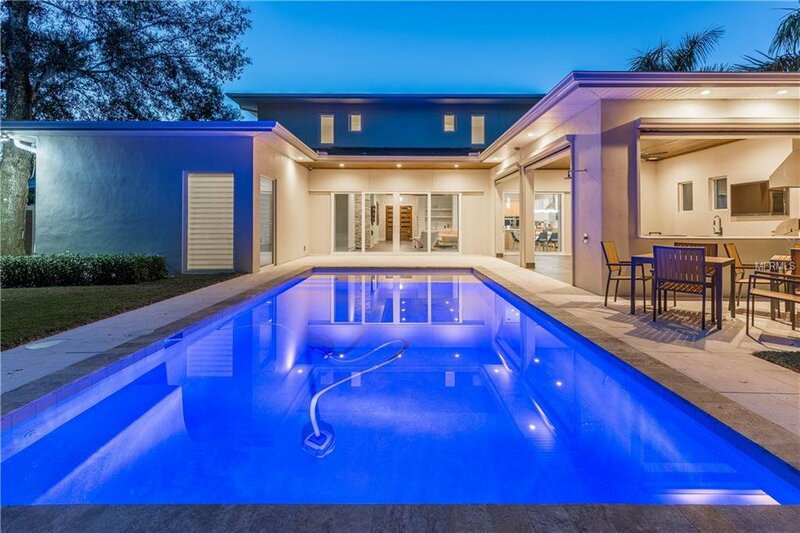 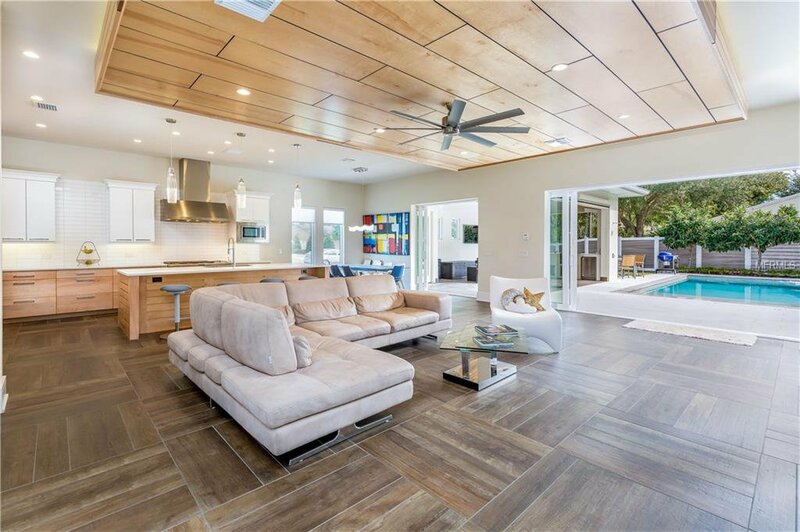 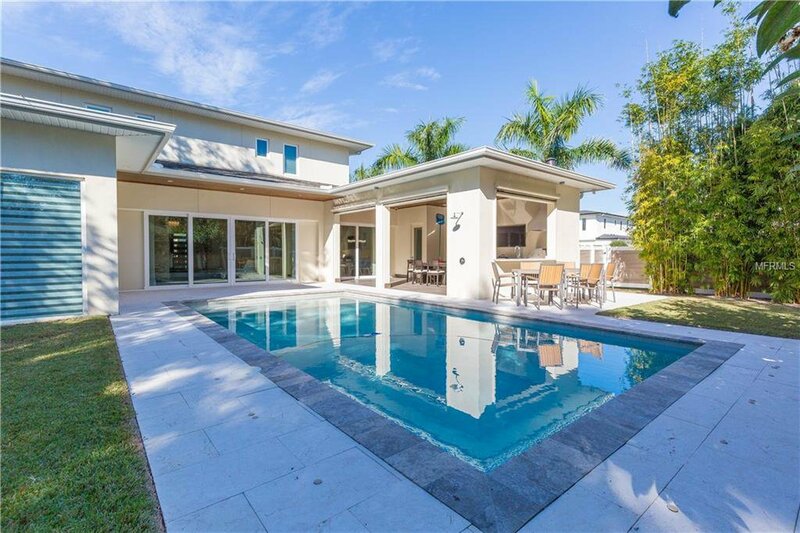 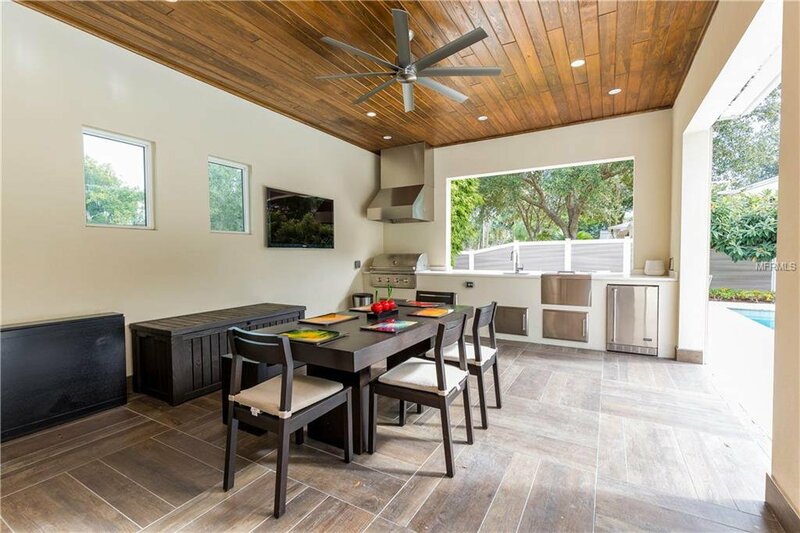 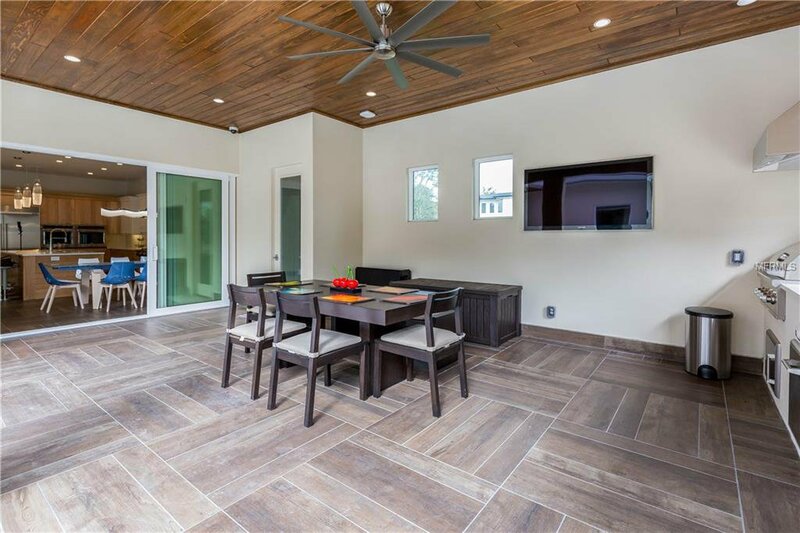 A very open-floor plan features great views overlooking a private backyard and pool as well as large lanai and summer kitchen making this a perfect home for entertaining. 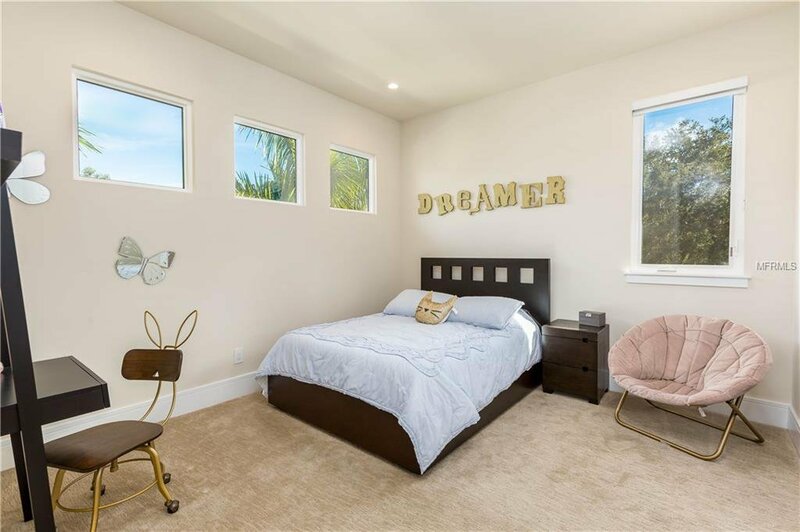 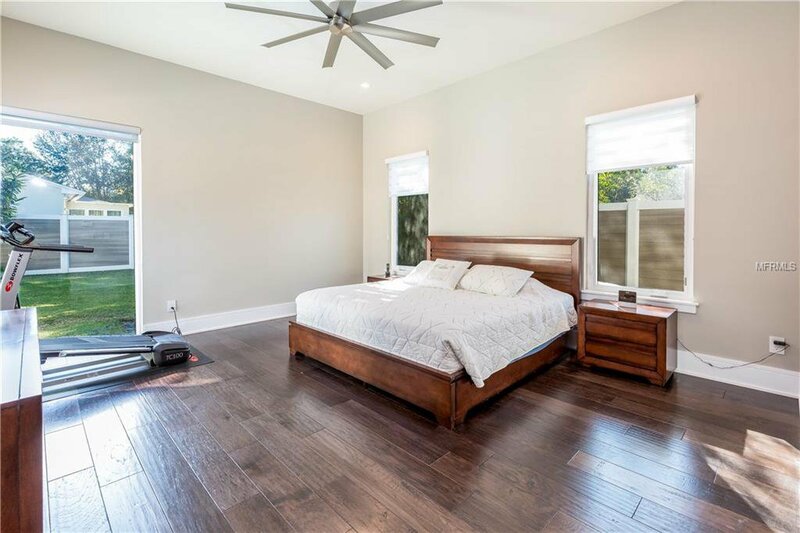 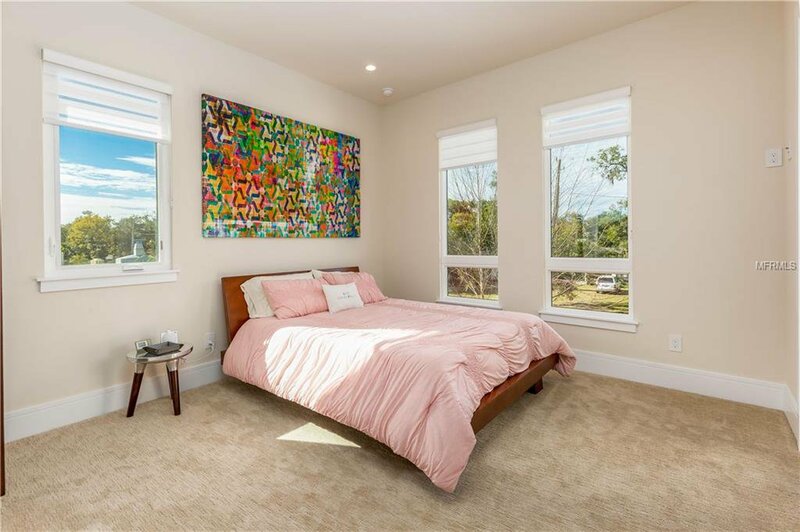 The downstairs master bedroom is situated off of the living room and has access to the pool area. 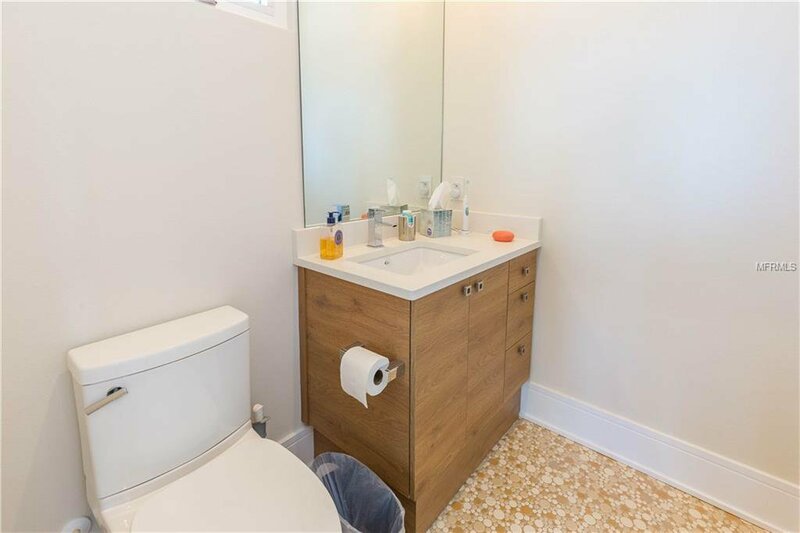 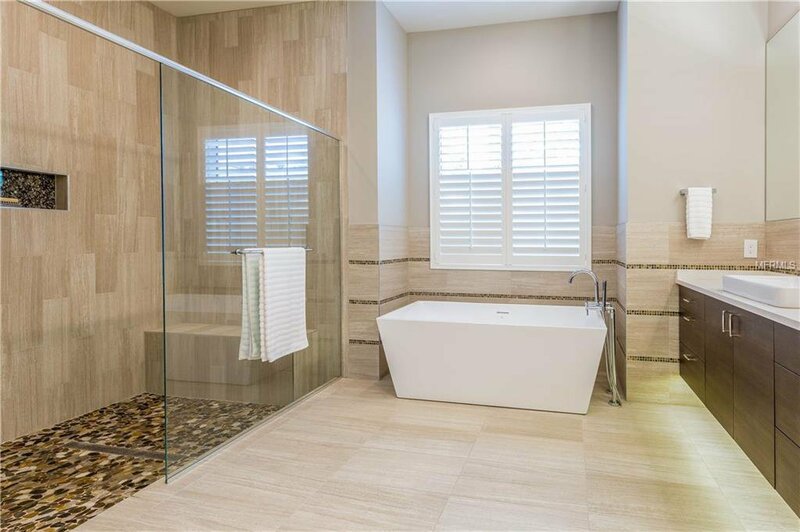 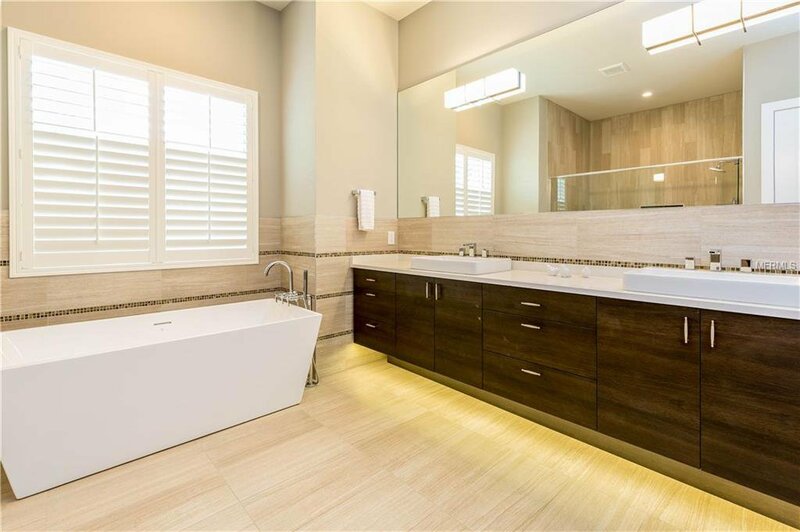 The master bath features double vanities, a beautiful soaking tub and an extra large shower with rain features. 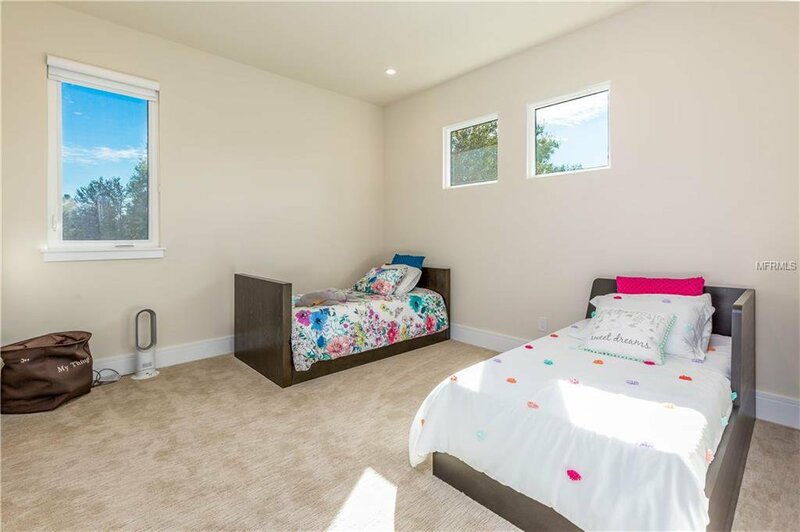 A guest bedroom is also situated on the first floor. 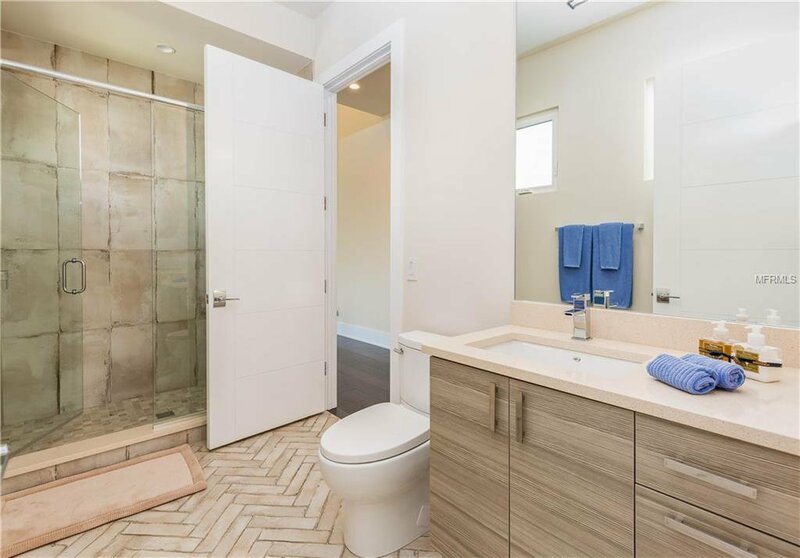 Head upstairs and you will find a loft with three additional bedrooms, all accompanied with their own en-suite baths. 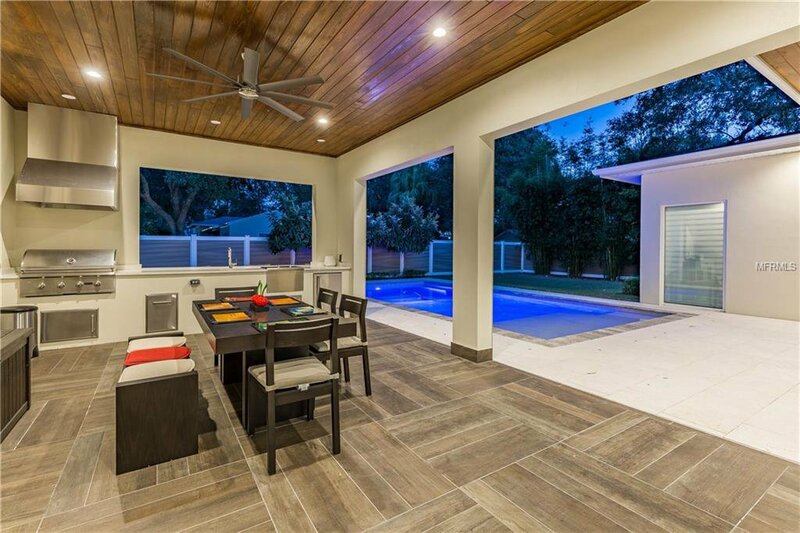 The backyard includes a large covered patio, outdoor kitchen and a private salt water pool, perfect for those summer days. 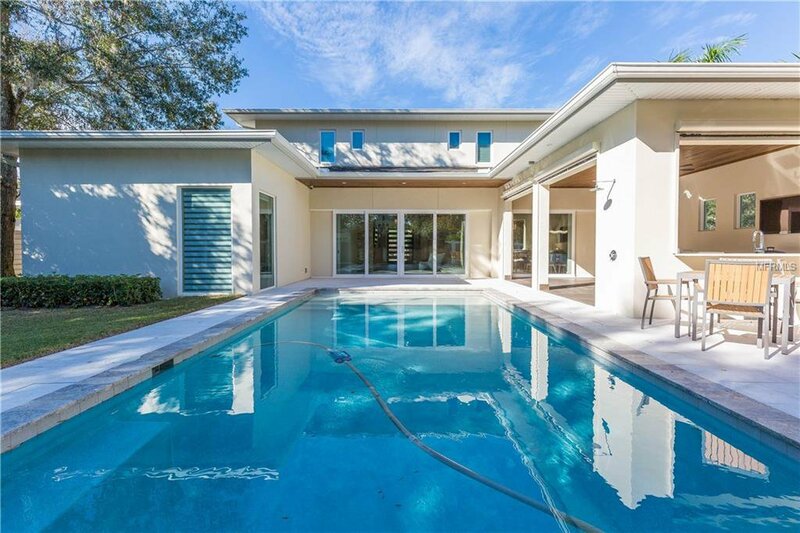 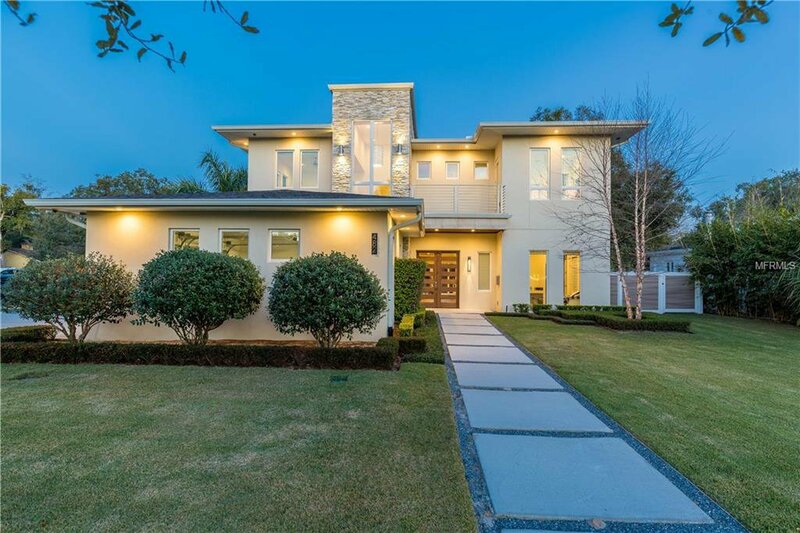 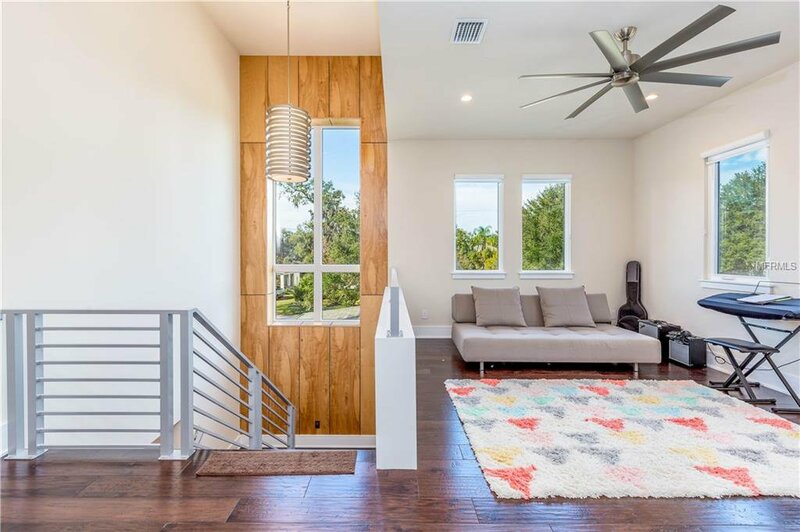 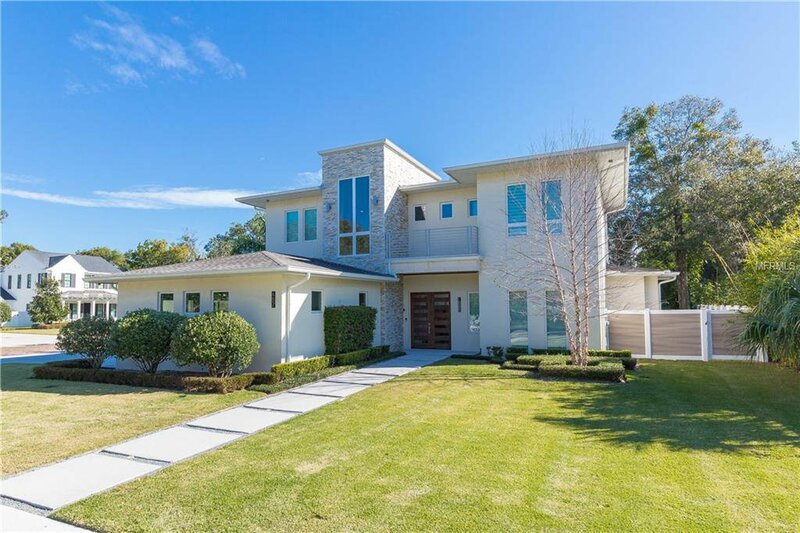 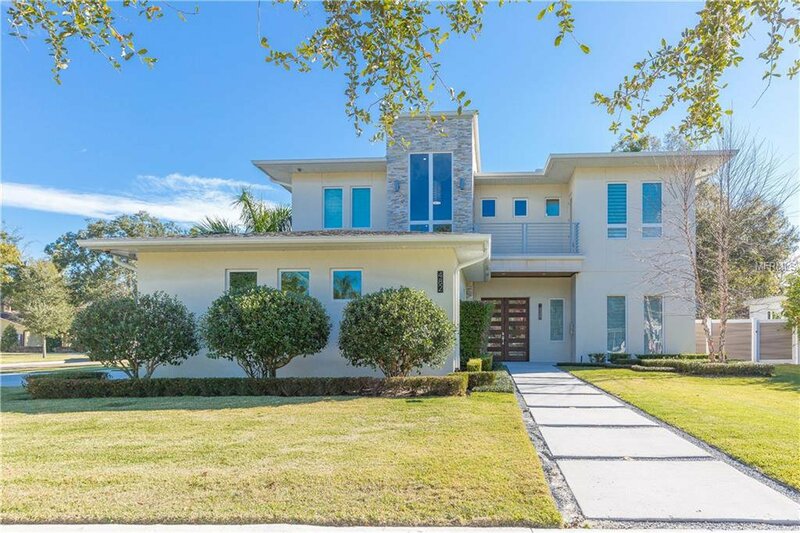 This is the perfect Winter Park home that has the convenience and style you are looking for.